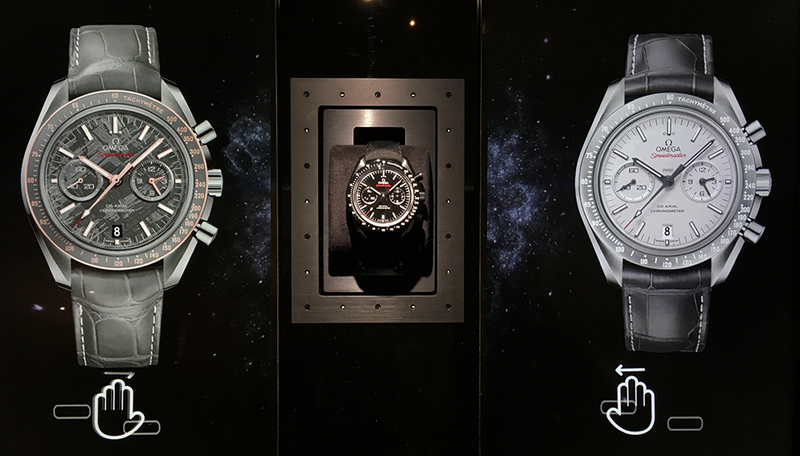 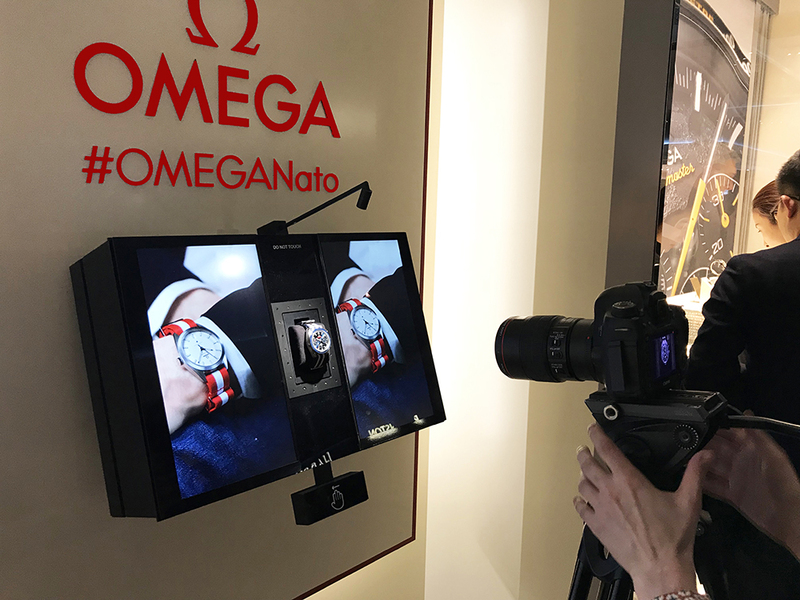 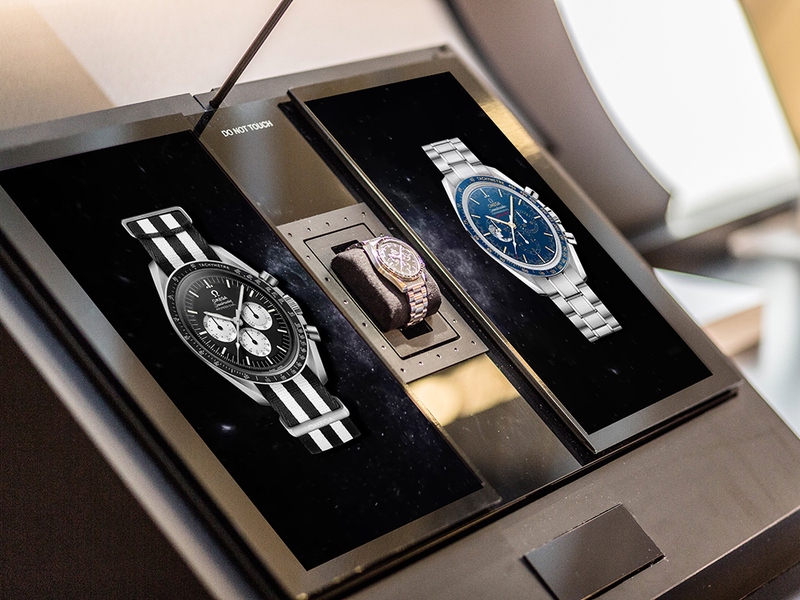 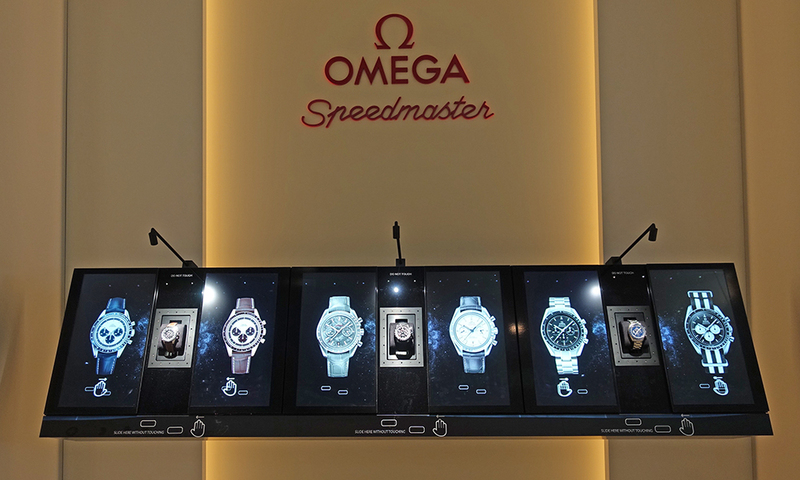 Omega Magic Box display at Baselworld: Three watches matched with three different straps. 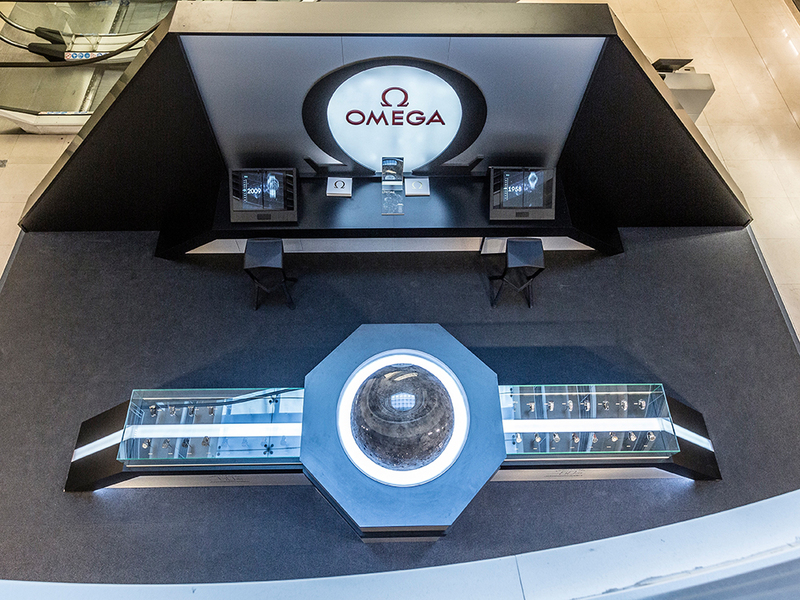 Three Omega watches appear one after the other only a few centimeters from your eyes. 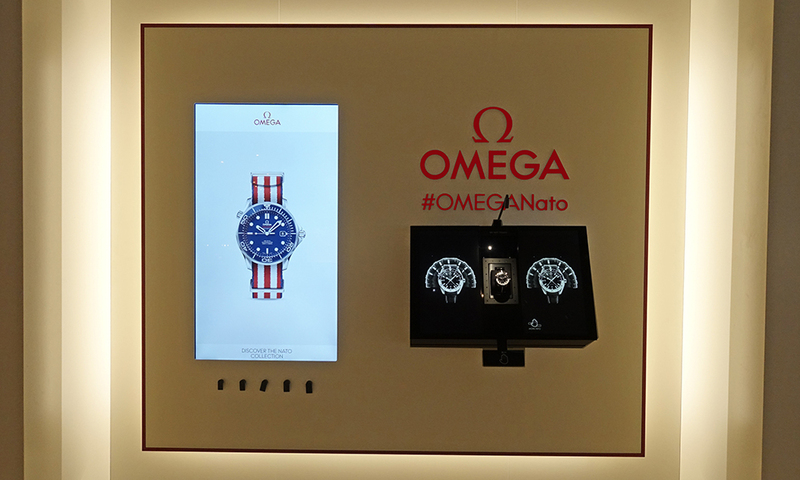 A life-size demonstration of the rich selection of NATO straps. 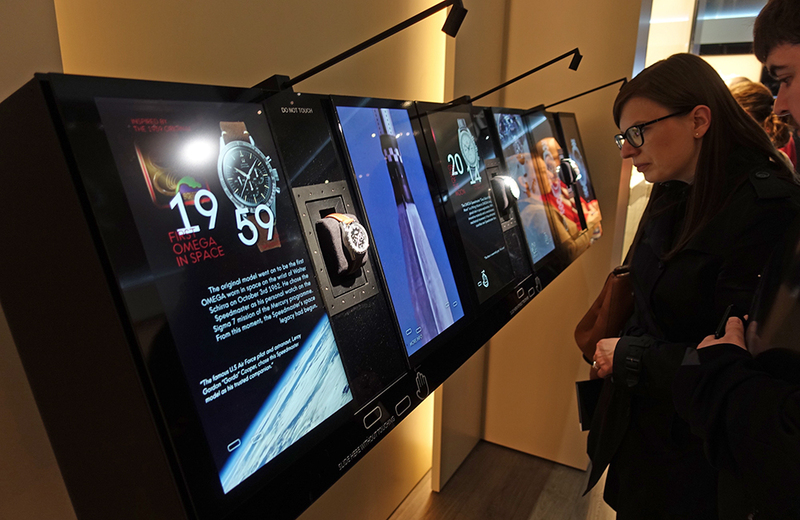 But don’t get too close or the product is instantly hidden behind the screens. 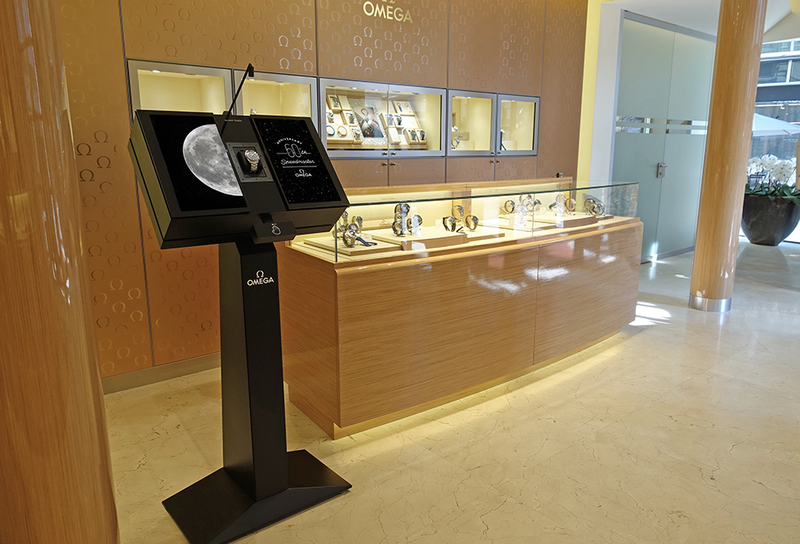 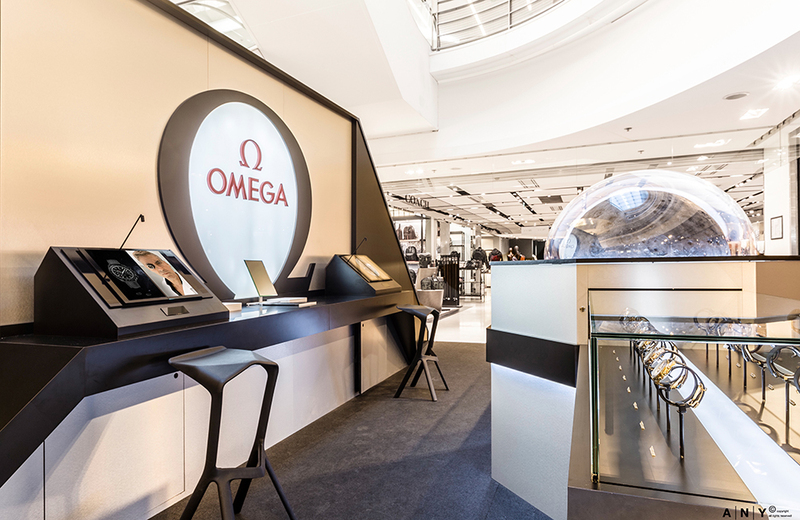 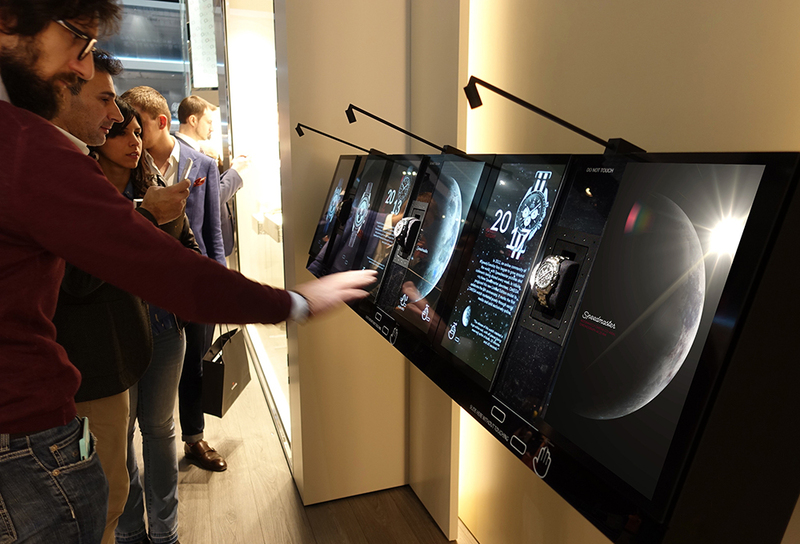 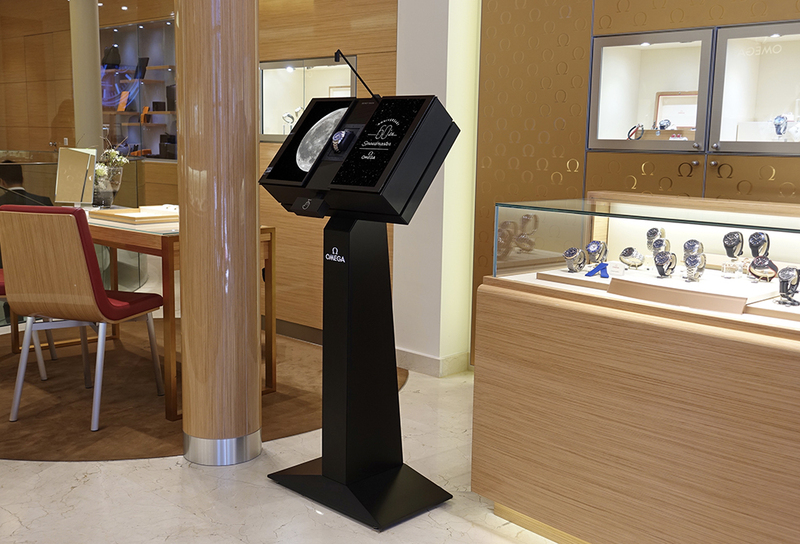 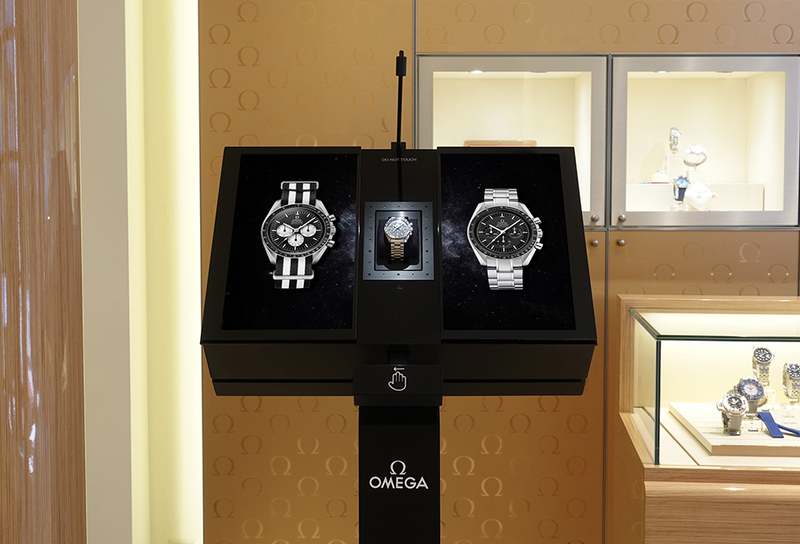 Omega, Magic Box at The Galeries Lafayette in Paris. 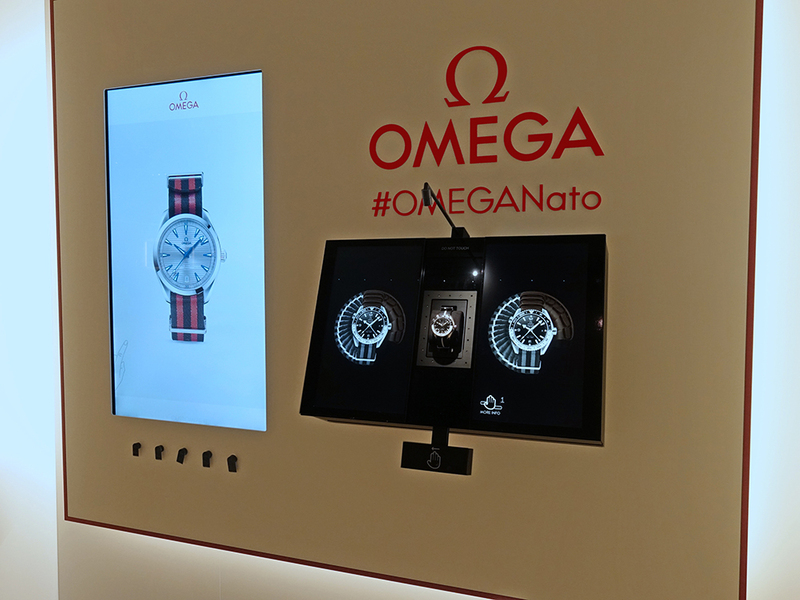 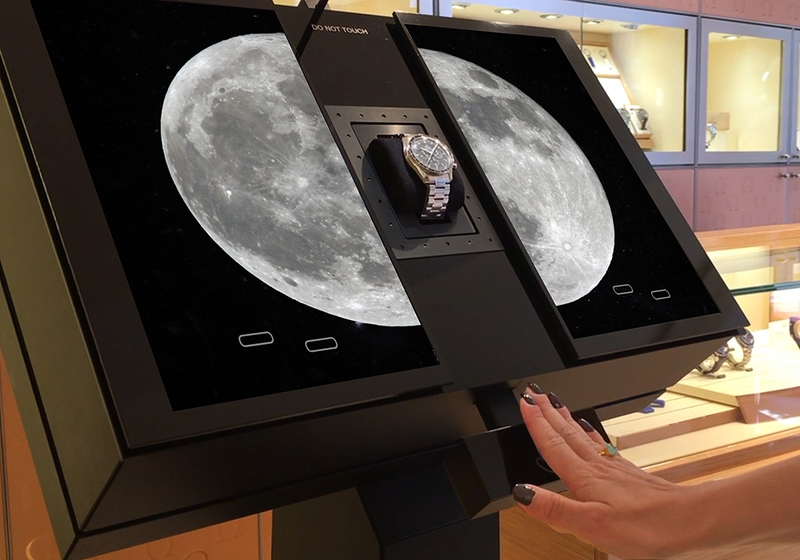 Two screens that move apart, offering a glimpse of an exceptional product. 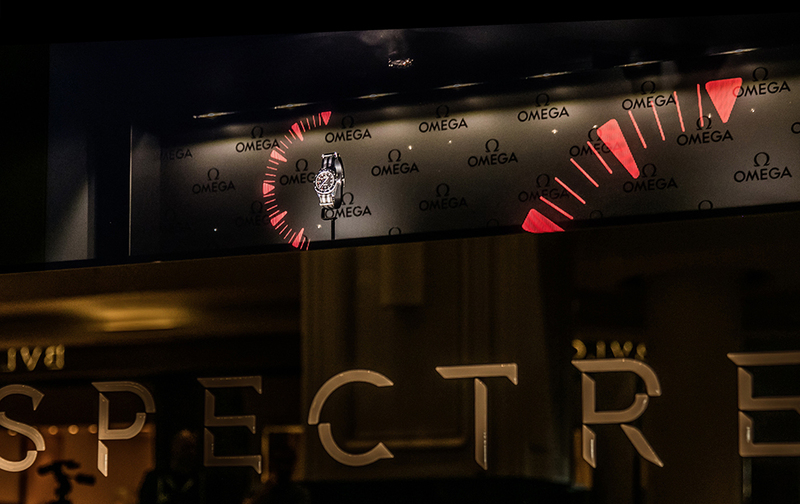 A secret box. 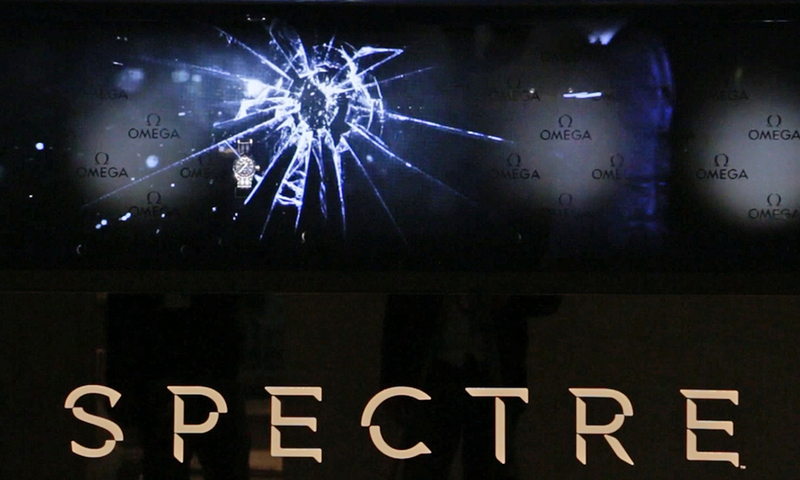 Like a magic door that opens and closes, a product appears then disappears to reveal another. 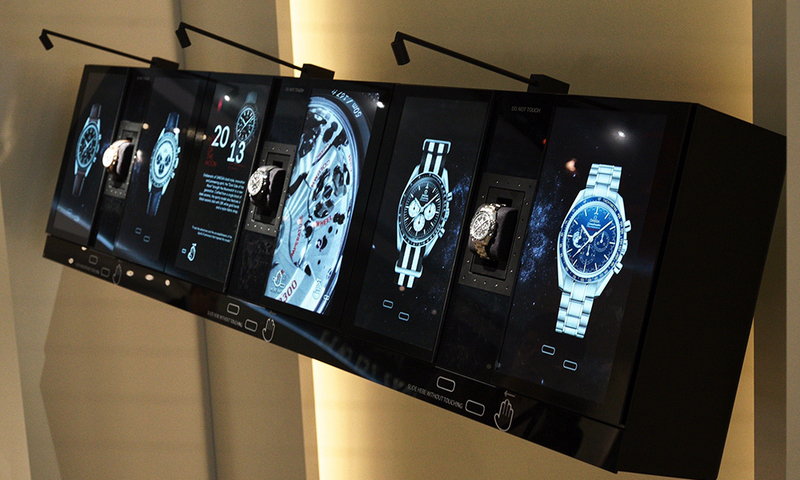 Call them up by swiping your hand across the sensors. 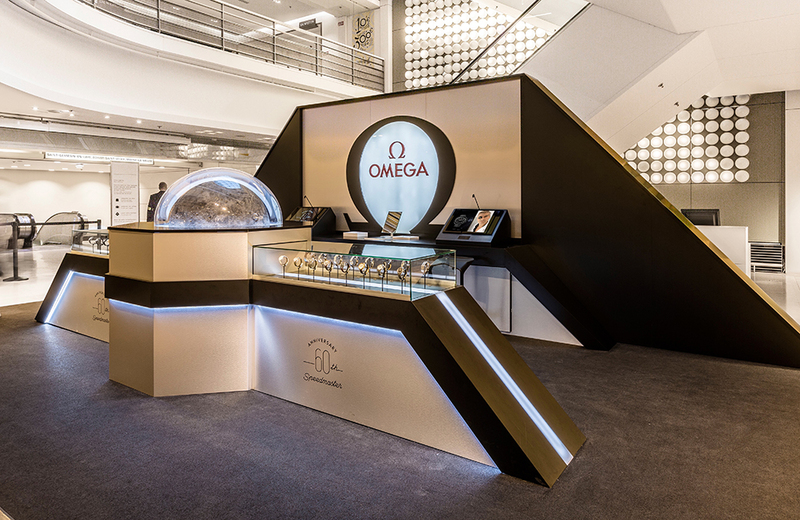 But how many products are hidden in this magic box? 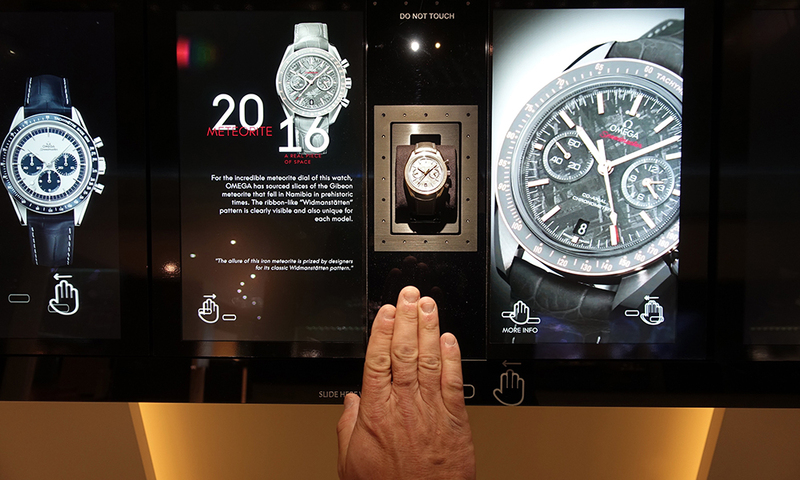 Don’t try to touch them: they disappear in 1/10 second and George will give you a friendly warning: you can look but you can’t touch! 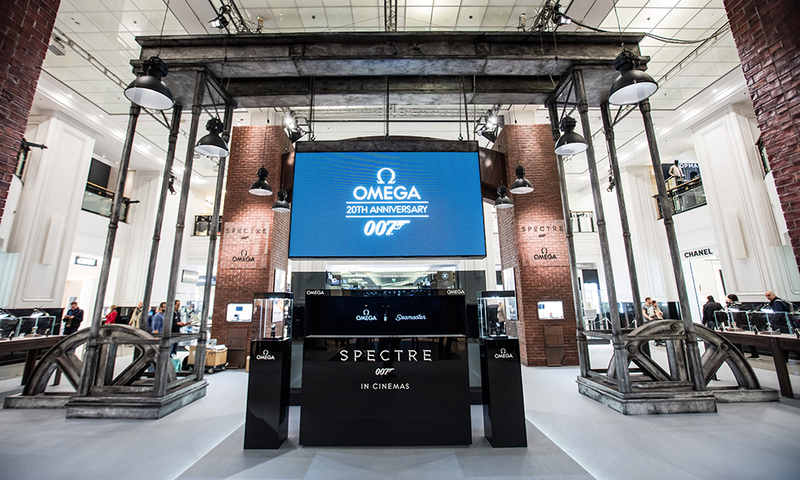 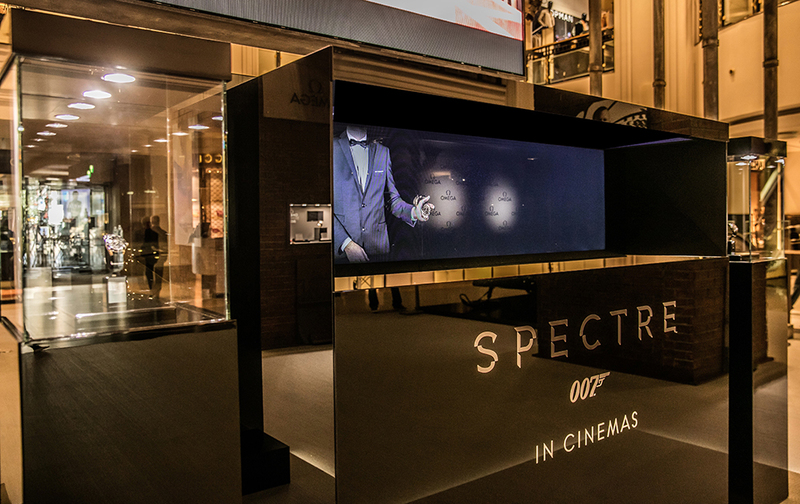 James Bond at KaDeWe in Berlin. 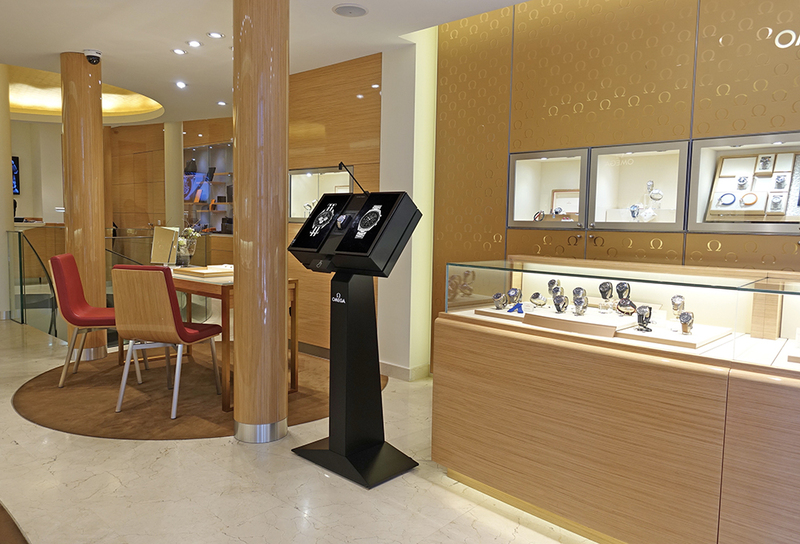 An event display cabinet in the famous Berlin shop. 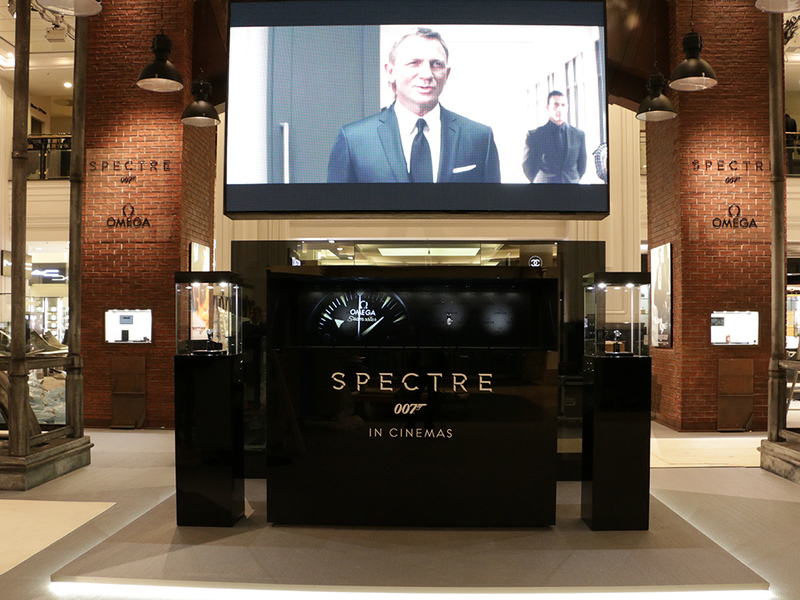 At the heart of MI6, James Bond’s watch moves, explodes and vanishes before reappearing….